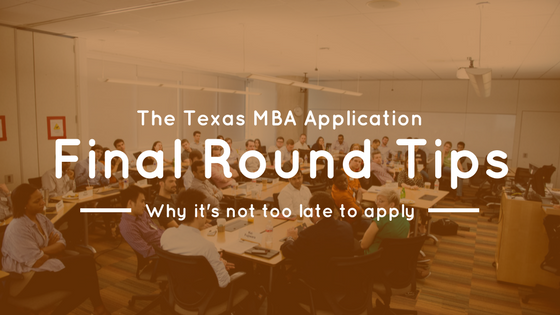 As we’ve stated before, the best time to apply to the Texas MBA Program is when you’re ready and can put forth your best MBA application. 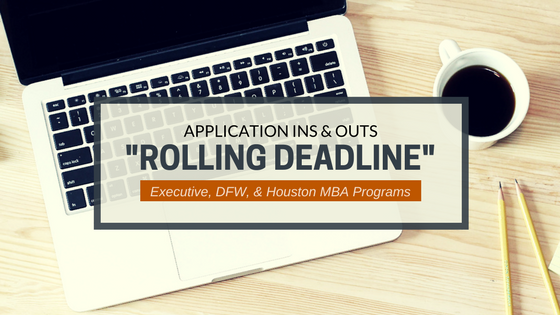 If you find yourself ready to apply to our Texas Executive, Dallas/Fort Worth or Houston programs now, in late spring, but think you must wait until the next year’s application cycle, you may be happy to know that these programs currently have a Rolling Deadline and are still accepting applications for the fall 2017 start date. We encourage you to consider this option. 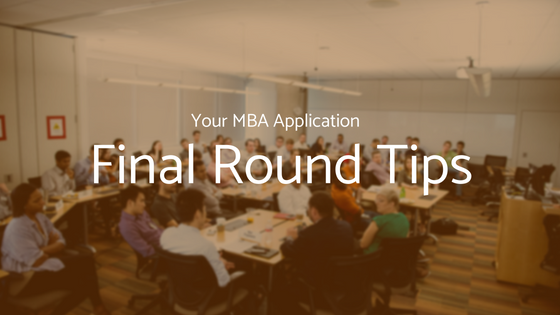 What does “Rolling Deadline” mean?